Booking a hotel prior to an excursion is the most important thing one should always consider while planning for any trip. 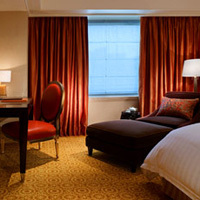 Palash Travels that is based in Siliguri (West Bengal, India) is involved in rendering reliable hotel booking services. We have a pan India presence and are capable of booking any type of hotel as per your requirements in your preferred destination. Moreover, our service charges are very nominal that suits every pocket.